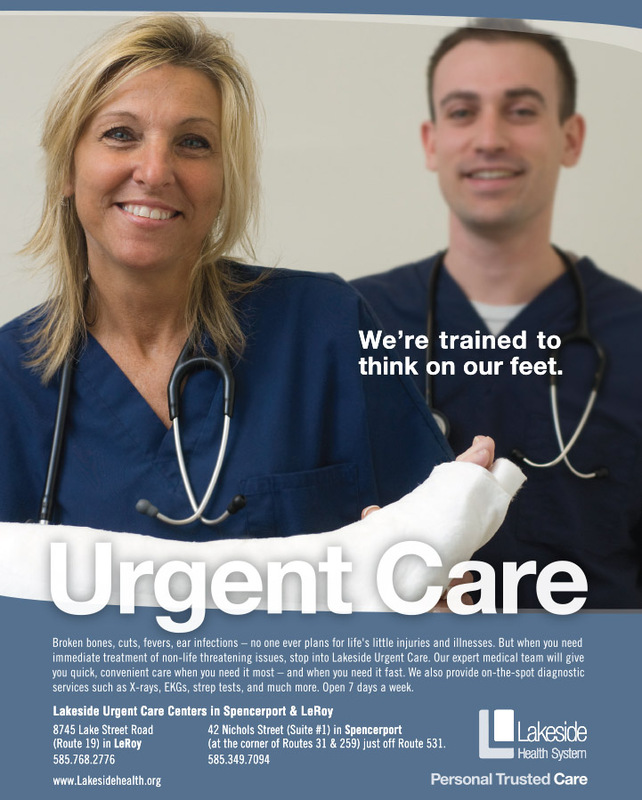 Lakeside, located in Brockport, NY, is a small community hospital with 100+ beds. 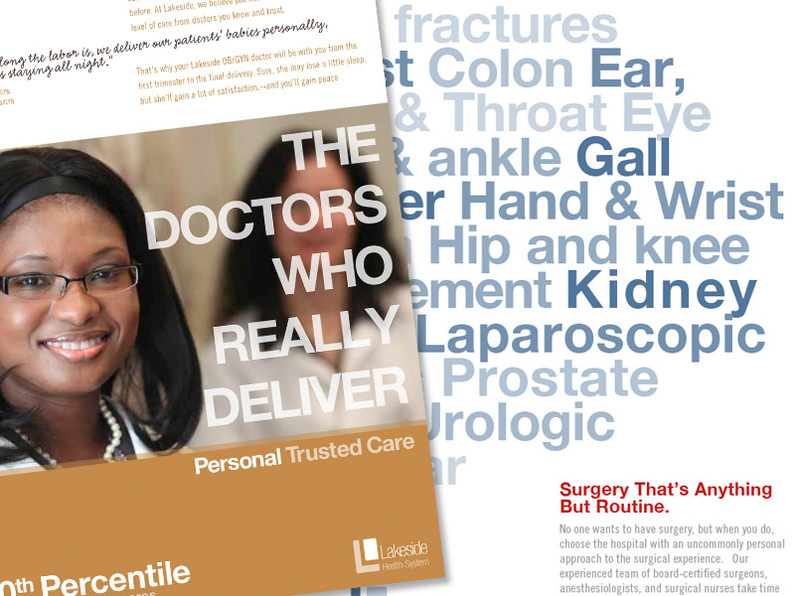 They had recently hired a new CEO and physicians that changed the face of the health system. They soon realized that public perception and the reality of what they had to offer was distinctly different. That’s when The Marketing Collaborative stepped in and took those assets and made them visible to the outside world. The advertising campaign was designed to communicate the differentiating brand attributes of Lakeside to the community which was long overdue. Numerous improvements to the health system including quality of care and the addition of new physicians like Dr. Steve Wolfe, Chairman, Department of Emergency Medicine. 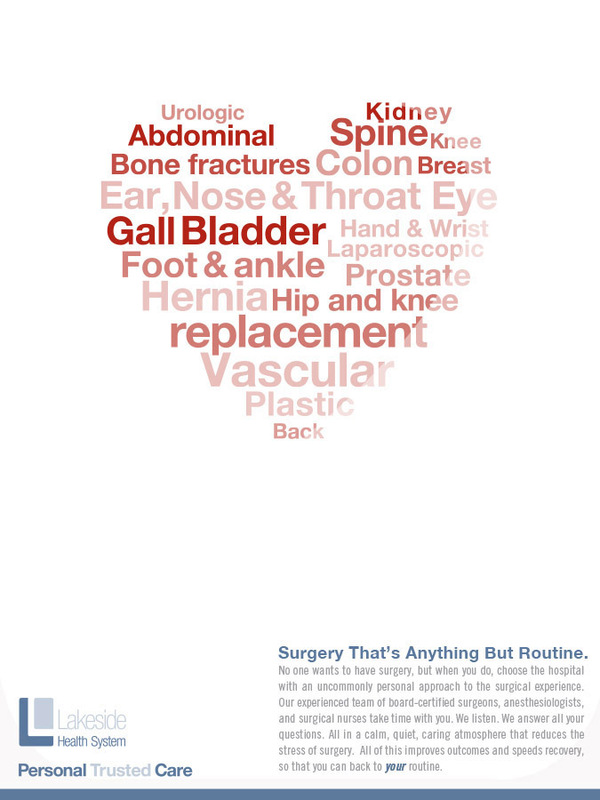 The campaign highlights their approach to health care as well as their door to exit time. 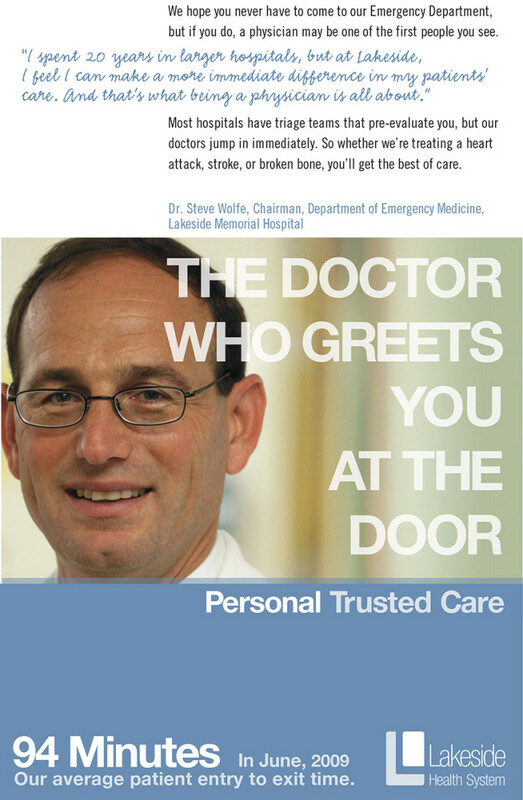 When trauma patients come to Lakeside it is the physician who first sees them, provides a diagnosis, and expedites care. That’s the Lakeside way. The results: A 6.4% YOY increase in patient visits from 2008 to 2009 was tracked. Did your obstetrician deliver your baby? Turns out, not many have. 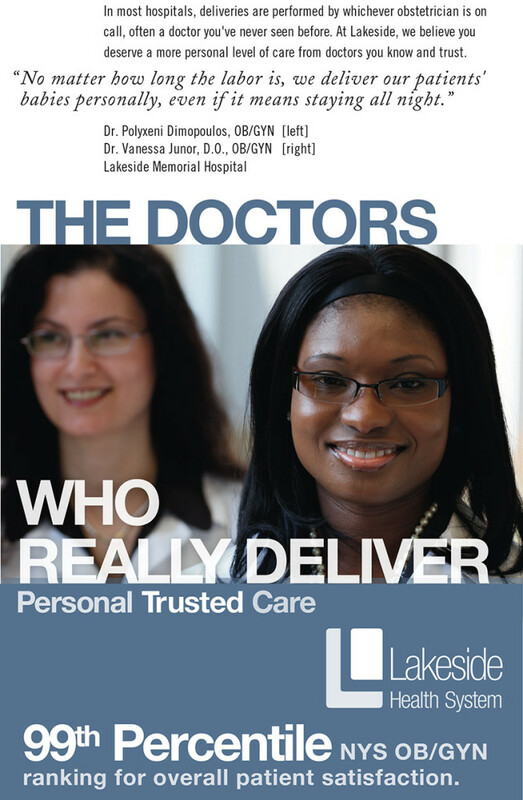 At Lakeside, their OB/GYNs deliver every one of their patients’ babies and this ad campaign capitalizes on that point of difference. 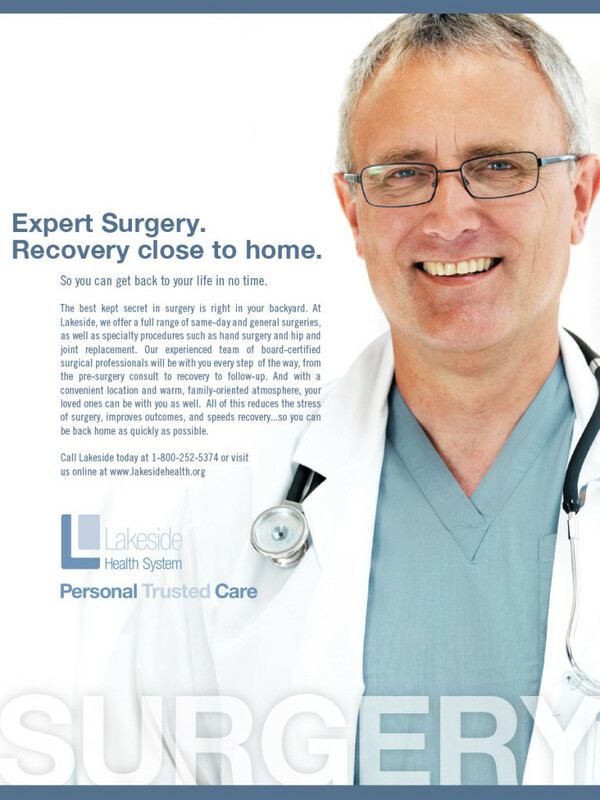 Interviews with surgeons, nurses, staff revealed that patients often choose to have their surgery at Lakeside because they want to be close to home and relatives. Surgery often makes people nervous no matter how routine, so being in their comfort zone is an added benefit. Quality of care is always one of the deciding factors – no matter how close to home you may be a positive outcome is first and foremost on everyone’s mind. 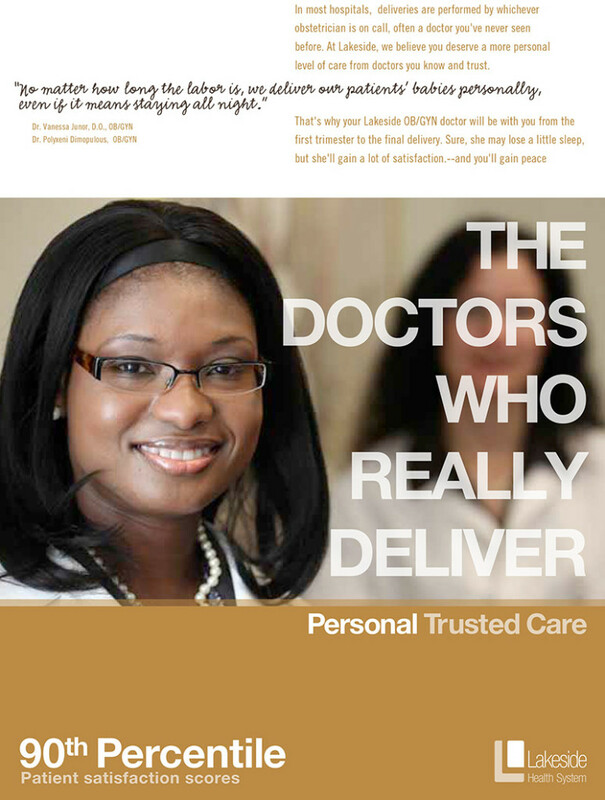 With new physicians coming on plus those from URMC,we had a good story to tell that added to the brand’s quality image. 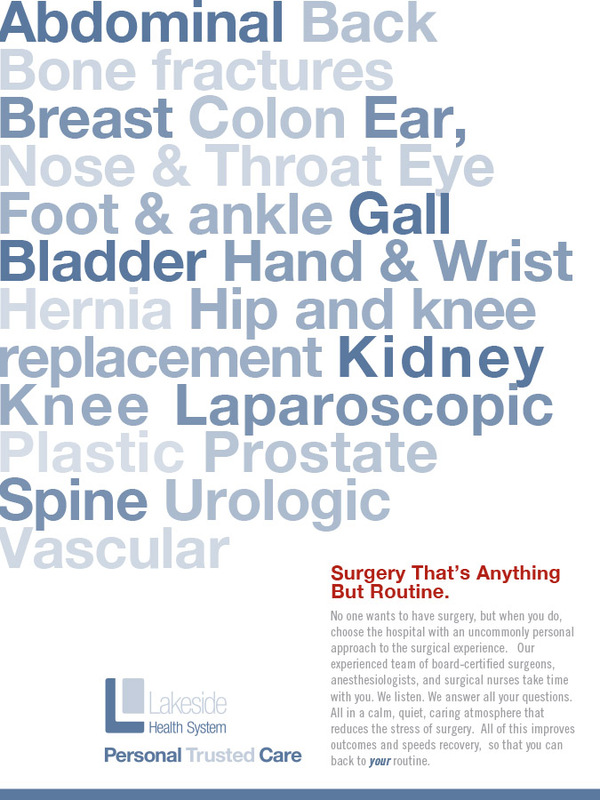 Physician outreach along with this campaign has shown increased in patient visits, particularly for orthopedics.